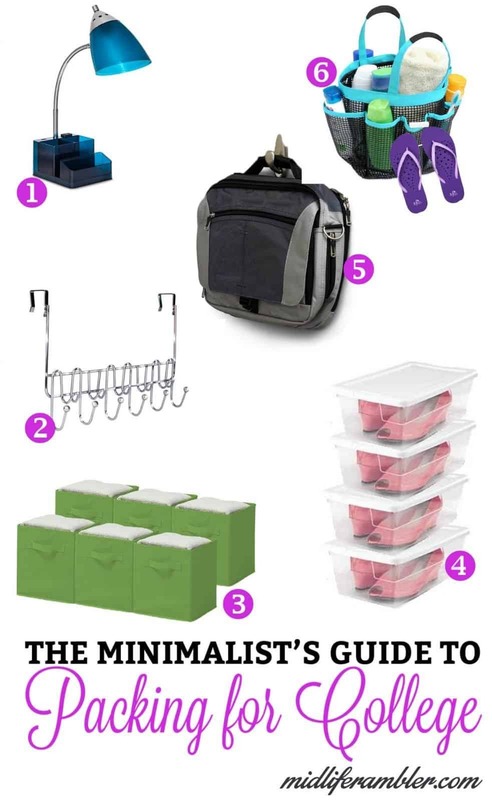 A year ago, I was the living embodiment of the mom in this Onion article, standing in the middle of Bed, Bath and Beyond insisting to my daughter that she absolutely needed bed risers and the under-the-bed shoe storage bin. (She didn’t.) Today I’m wiser and $250 poorer from paying the cost of storing for the summer the items we did end up buying. If I had a chance to do it all over again, I’d be much choosier in what I bought and make more of an effort to buy the right things rather than all the things. It’s too late for me, but if you’re planning to send a child away to college this fall, there’s still time to save some money for yourself. So I recently interviewed my daughter about what items she really used during her first year away at school. In order to provide some context around her choices, you need to know she had an extremely old school dorm room, like this one shown below: two beds, two desks, two tiny closets and a bathroom down the hall. If your child has lucked out with one of those new, fancier units, then she’ll have different needs and probably won’t need to focus as much on squeezing every possible storage space out of every inch of the room. With those guidelines in place, here are some things she found useful. My daughter’s love for this lamp was a little over the top. She would actually discuss how much she liked it with me when we facetimed during the school year. (To be fair, it was right in front of her when we talked most of the time.) I asked her to describe why she loved it so. “Good lighting. Held my pens and highlighters. Charged my phone. Sometimes could be used as a bit of a trash can. What’s not to like?” What indeed. When you go to college in the Northeast, you need a whole wardrobe of coats and jackets. You need some way to keep them organized so one of these on the back of the closet door is very helpful. My daughter also used one of these on these hooked on the back of her desk to organize her backpacks and purses. 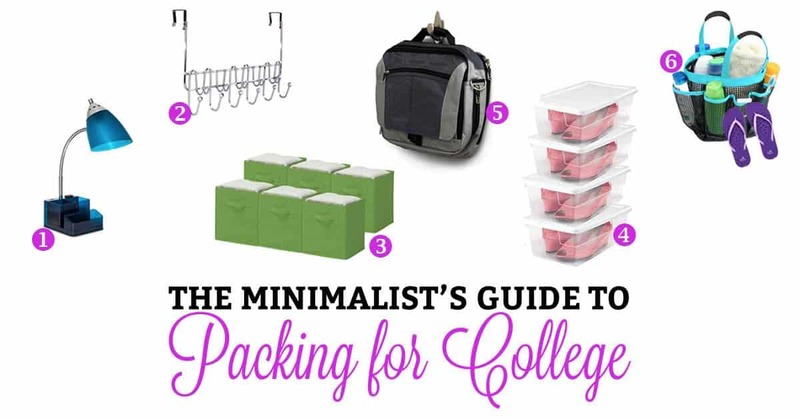 I mentioned earlier that it’s important to squeeze every inch of potential organizing space out of the traditional tiny dorm room. My daughter’s roommate used the decorative command hooks to keep her backpack and purses on the wall conveniently by her bed. They would also be very handy in storing curling irons and hair dryers next to the dresser. My daughter and her roommate used these to organize a variety of miscellaneous items in their drawers: school supplies, make-up, first aid supplies, etc. Clear shoe boxes are cheaper than specialized storage containers and tend to fit in tight spaces more easily. If your dorm room doesn’t provide under bed storage (some do! ), then you definitely don’t want to waste that storage space. My daughter liked these storage cubes for storing bed linens, towels, sweaters and miscellaneous items such as laundry detergent because the cubes weren’t so wide as to be unwieldy and they were easy to slide in and out from under the bed. If you’re going to and from the shower every day, you’re going to need some way to carry your stuff. This one is nicer than the standard one you can get at Target and drains so it won’t get all gross. I’m including shower shoes because I asked about these assuming they would fall into the category of “I wore them twice and then no more.” Instead, I got a shocked look and the answer, “No one would go into that shower without shower shoes.” Enough said! And if they’re needed so badly, I suggest this antibacterial pair. These are some very helpful items! Luckily my oldest daughter was frugal when she went to UCLA for four years. BTW, I have that exact lamp from Target sitting on my desk. Very handy! My daughter loves that lamp so much! I’m going to have to get one for myself. Great list! 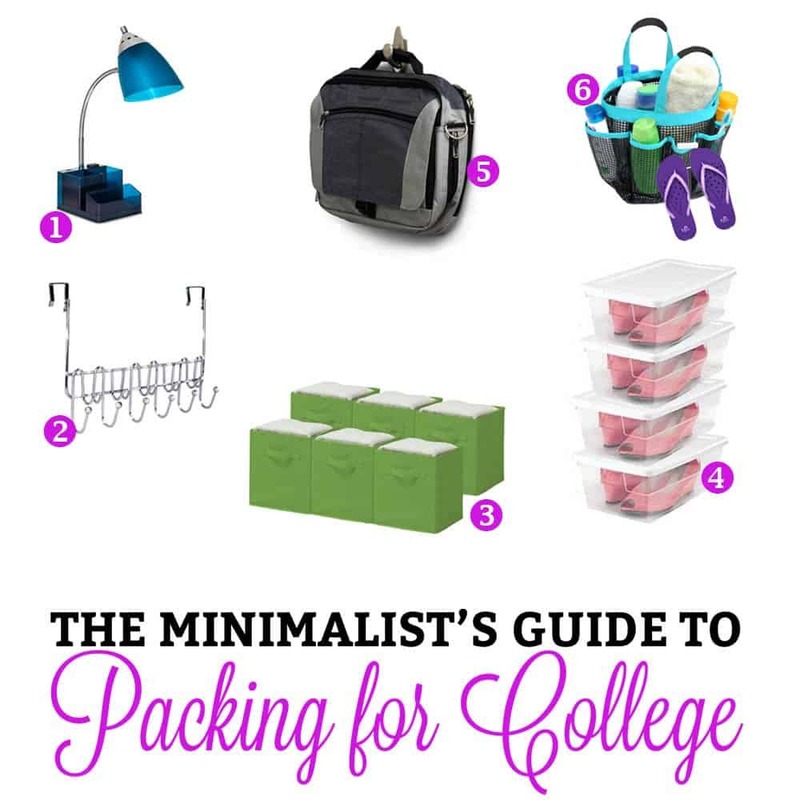 My oldest is heading off to college this fall, and we’re still trying to figure out what she’ll need. Her dorm is older, but all the rooms are different. Some have underbed storage, some don’t. All are small so we’re working on a good list of essentials. This post is a great help! PS Love your blog! I read so many “new mom” blogs, it’s wonderful to see something from an older mom perspective! Thanks for commenting Jodi. It’s so hard to know what to buy the first year. 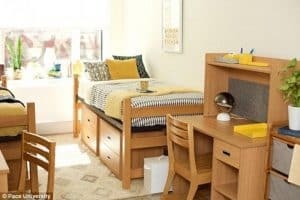 My daughter’s in a new dorm this year so well be needing to make some new decisions again. Command hooks seem to always apply at least!